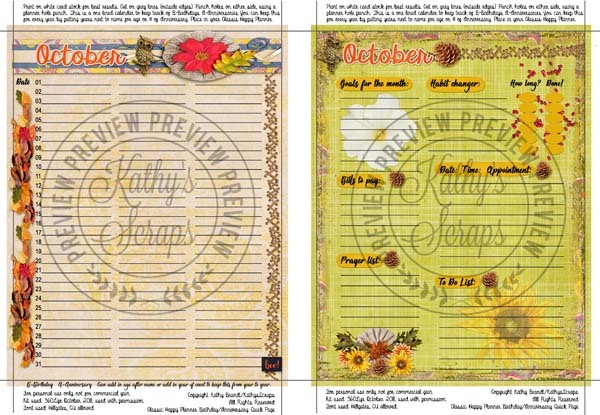 Planner Freebies from Kathy’s Scraps! Here are two pages from Kathy’s Scraps for you all to enjoy! Created using my 360 Life All About October Collection! « 360°Life All About October is on Sale Now!